Tony Gee – has worked in the arts as a performer, workshop leader, trainer, lecturer and writer for over 35 years. He has toured shows and workshops all over the world. Tony is a qualified Youth and Community Worker and has a Masters in Applied Theatre. He has lectured at several universities: Exeter,Plymouth, Concordia in Montreal, Dartington College of Arts, Royal College of Art and Birmingham University. Tony works internationally including working with First Nation communities in Canada and is a research associate with the Indigenous Peoples Health Research Council. He has run many professional development events for artists, is a published author and co-holder of the world record for creating The Biggest Puppet Show on Earth! 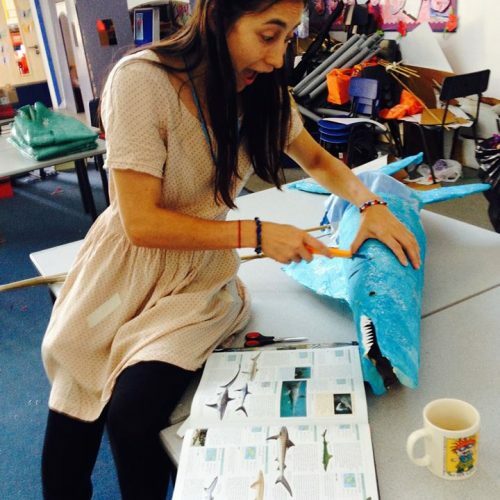 Roz Hilton studied devising and collaboration at Dartington College of Arts and went on to specialise in interactive and immersive work – bringing her own playful innovation into Installations, Puppetry, Storytelling, Stand-up Poetry, and Experimental Theatre. Before joining SAPTA Theatre, she worked, for companies such as: Odyssey Works (San Francisco), Antennae Theater (London), Angel Heart Theatre (touring, UK), and Wondermentalist Cabaret (Devon, UK). As well as creating the successful 2 woman show ‘For Our Sins’, she is a published illustrator and poet. Moveable Feast Workshop Co as an Artist and Facilitator with Play Torbay, Devon Libraries, Exeter University and The Centre for Contemporary Art and the Natural World before Joining Creation Myth Puppets in 2014. In another life Anna manages a festival venue and participatory music space; PachaMamaCafe. We have a great bank of associate artists whom we can draw upon. They are all highly experienced, skilled and can become Core Artists if they wish. Some of these artists we have worked with for many years and some are new. They include Martin Corbin, Leah Kirby, Maisie Doherty, Libby Quick, Sarah Annabel Riley and Charlie Scullion. 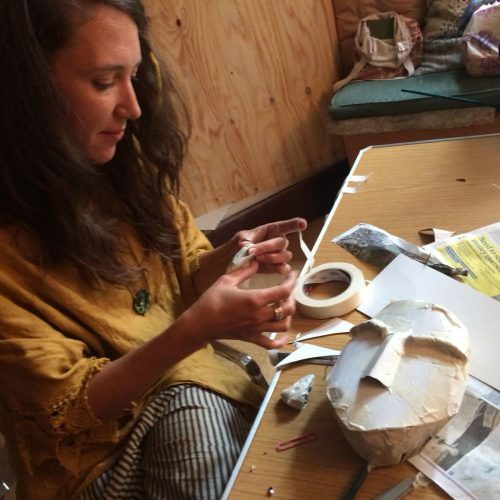 All our artists have their own practice that they deliver outside their work with Creation Myth Puppets. 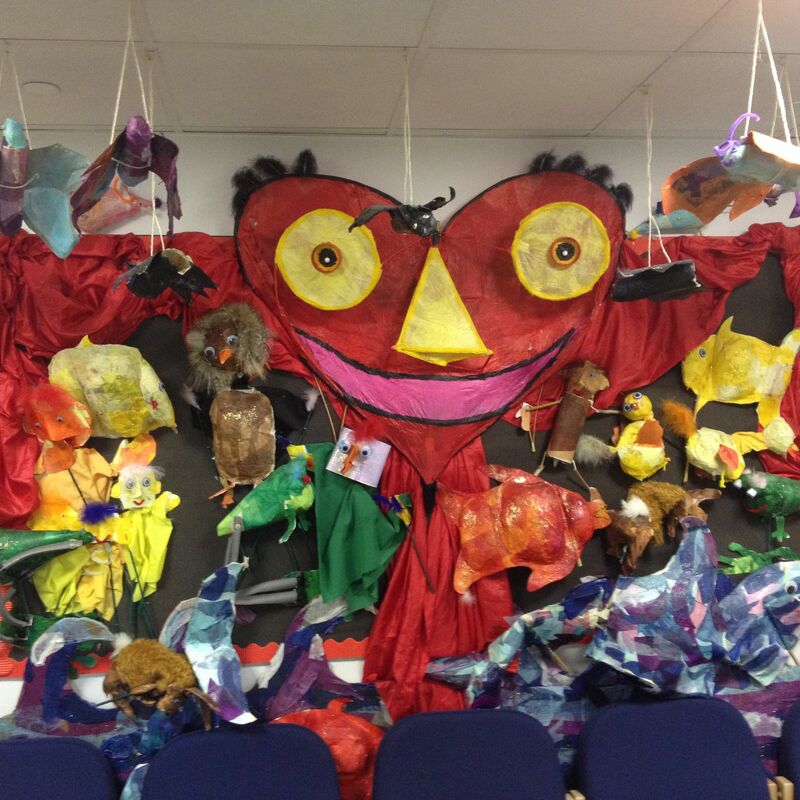 Creation Myth Puppets was formed as a charity in June 2015 to develop, sustain and ensure the legacy of a practice that has transformed childrens’ lives since 1989. Here’s a little of the backstory. In 1989 an extraordinary event happened in the Civic Hall in Totnes. Under the guidance of 15 artists and puppeteers, 250 people gathered to try and set a World Record for the Biggest Puppet Show on Earth. The result was described in The Stage as “an explosion of creativity”. What happened in that one day thirty years ago that it gave birth to a new way of working using puppets and stories for children to make their own high quality productions in very short amounts of time. Over thirty years, in schools nationally and internationally, the practice grew. New ways of working were found, we created new puppet models for children to make, we planned and improvised and we built an expansive store of world stories. At The Unicorn School in London in 2012, a parent who had witnessed three of her children in a whole school performance made in a week, gave us a generous donation to start a charity. Tony talked to potential trustees about the proposition and they all agreed that setting up as a charity improved the chances of this practice thriving and, most vitally, benefiting more children. The proof of the pudding is in the eating – formalising our organisation has increased our capacity, created new practice , attracted funding and donations, provided more residencies and, most importantly, made events that a child described as “better that Christmas” and made children feel “more than happy”. Last year the core artist team wrote our Manifesto to express the value of our work and our values in making it happen with children and schools. In the last four years we have conjured more than 50 events with over 10,000 children in 3 different countries and entertained in excess of 20,000 parents, grandparents and governors. Patrick Cooper is an internationally acclaimed children's author. 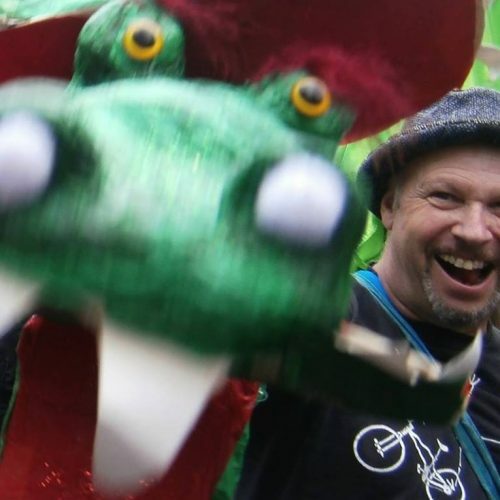 He also has extensive knowledge and experience of puppetry, as writer, director and performer. He has twice been a school governor. Pippa Healy is a former TV and Film director and is now an exhibiting a prize winning photographer and deeply involved in contemporary art initiatives. She believes in the critical importance of creativity and the arts in childrens’ education. Julia Bond was deputy head at Bidwell Brook Special School and is a director of Devon Arts in Schools Initiative. Julia is also an artist in her own right and has a degree in fine art. Martin Goldschmidt is the co-founder and managing director of Cooking Vinyl Records. He has worked in the music industry since 1982. As well as his success in the Creative Industries, Martin is a proficient chess player and has coached Grand Masters. Julie Barton is Headteacher of Bradley Barton Primary School and is profiled by two of her pupils thus: Hobby: running and keeping fit. Job: Headteacher, meal time assistant, cleaner. Interesting fact: Ms. Barton is very good friends with Flat Stanley. Michael Jeffrey set up the Distance Learning Programme at Exeter University and was manager at The Sharpham Trust in Ashprington. He is widely skilled in I.T., Construction, Woodland Management and is widely travelled. Sandy Akerman is a theatre lecturer at South Devon College and now works in a managerial capacity. 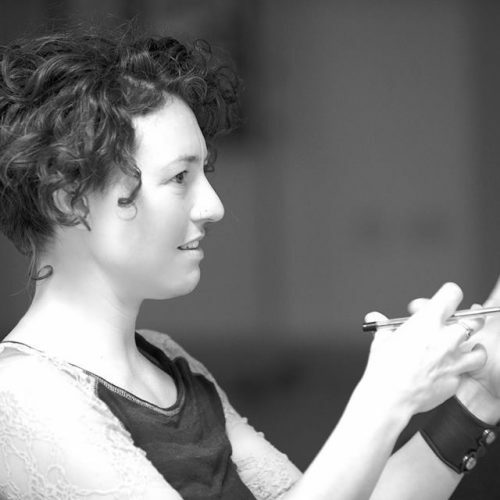 She has taught at many universities and is renowned for her work in Forum Theatre. She set up and ran Headbangers Theatre Co. and is now a a trained and practicing celebrant. John Moat was a poet, painter and novelist who co-founded the Arvon Foundation with john Fairfax and the help of Ted Hughes. The Arvon foundation runs residential programmes for writers to develop their work. John was hugely supportive of our work. Sadly, John died in 2014. He cared passionately about the imagination and education and was a great motivating force to develop and expand our work with children and in schools.